With the clock ticking, the House Education Committee hurriedly approved a pared-down funding formula bill Wednesday, even though several education groups warned of potential problems. After nearly two hours of discussion, the committee passed House Bill 293. The bill won’t transition Idaho’s public schools and charters to a new funding formula, nor would it change the amount of funding schools receive. But it would spell out some definitions and require schools to create new reports for the state. Legislators said they want to gather data from those new reports to help guide their discussion, if they attempt a full-blown funding formula overhaul in 2020 or later. “House Bill 293 is but one step in a series of steps that have occurred, and will occur, as we transition from an attendance-based funding model to a student-based funding formula,” said Rep. Bill Goesling, R-Moscow. It would define terms that are likely to wind up in a future funding formula rewrite, such as at-risk students, economically disadvantaged students, English language learners and local salary schedules. It would require schools to submit various new enrollment counts to the state by Oct. 1 and Dec. 1. Beginning in 2020, schools would need to submit appropriation and expenditure reports for each state line item and discretionary funding. It would require the House and Senate education committees to undertake a comprehensive review of the formula every five years, beginning in 2024. Although they had less than 24 hours to study the bill following its introduction Tuesday, the Idaho Education Association, Idaho School Boards Association and the Idaho Association of School Administrators joined Nampa and Caldwell administrators in pointing out concerns. Several speakers said the bill conflicts with the career ladder law by mandating two different minimum salary levels – for starting pay, and the first “professional” rung on the ladder. This latter requirement would be new, and could affect teachers beginning in their fourth year in the classroom. IEA President Kari Overall said inserting a second minimum salary requirement could complicate current negotiations between school districts and unions. Complicating the debate, Rep. Gary Marshall, R-Idaho Falls, misstated the requirements of the Legislature’s new law raising the minimum teacher salary to $40,000 over the next two years. Even though Marshall sponsored that bill on the House floor, he falsely told House Education that House Bill 153 mandated a minimum salary for the first “professional” rung. It does not do so. Tim Hill, the State Department of Education’s deputy superintendent for finance, suggested lawmakers fix the conflict with the career ladder to avoid a potential legal challenge. Rep. John McCrostie, D-Garden City, tried but failed to send the bill to the floor for amendments during Wednesday’s hearing. Photo by Sami Edge/Idaho EdNews. Several speakers said the bill’s definition of economically disadvantaged students was unworkable. “We want to make sure the data that will be collected is accurate and as complete as possible,” said Marilyn Whitney, the SDE’s deputy superintendent for communications and policy. Citing those concerns, Rep. John McCrostie, D-Garden City, tried but failed to send the bill to the floor for amendments. With leadership working to adjourn the session this week or next, several legislators said they can’t afford to slow down and correct the bill. Instead, they suggested any problems could be corrected by the 2020 session, through the state’s rulemaking process. 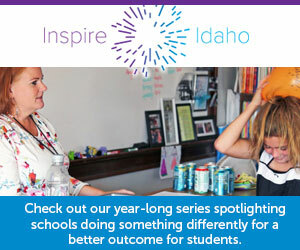 After efforts to completely rewrite Idaho’s school funding formula stalled out, freshmen Sens. Jim Woodward, R-Sagle, and Dave Lent, R-Idaho Falls, successfully introduced the pared-down bill Tuesday morning. Their effort is supported by co-sponsoring Reps. Wendy Horman, R-Idaho Falls, and Goesling. Voting along party lines, House Education sent HB 293 to the floor with a recommendation that it pass. House leadership could suspend floor rules, and hold a vote on the bill in the coming days.